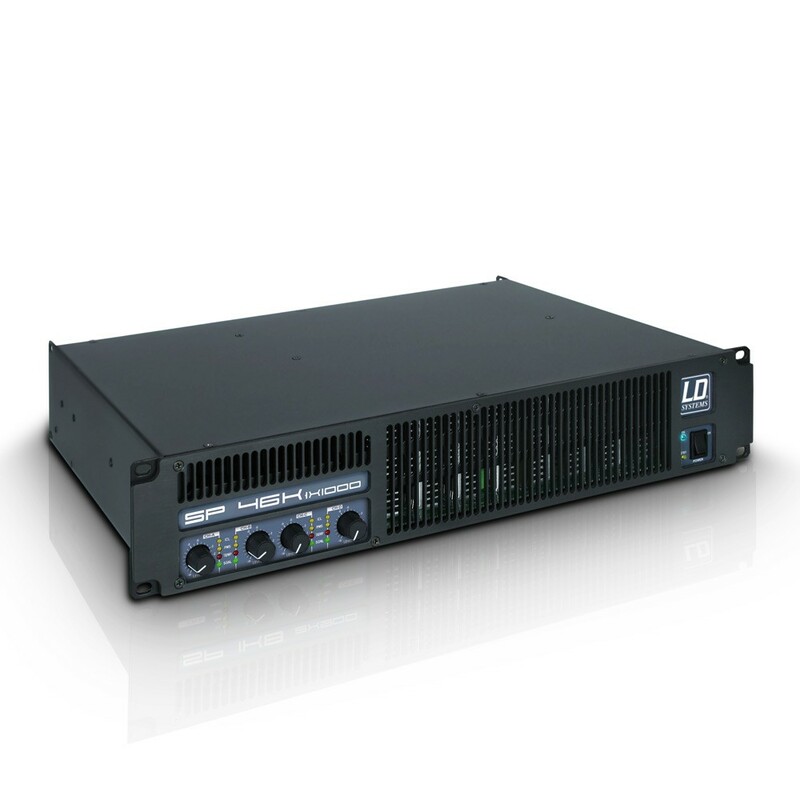 The LDSP46K is a no-compromise 4-channel power amplifier providing professional performance and versatility in a compact switch mode power supply Class H design. 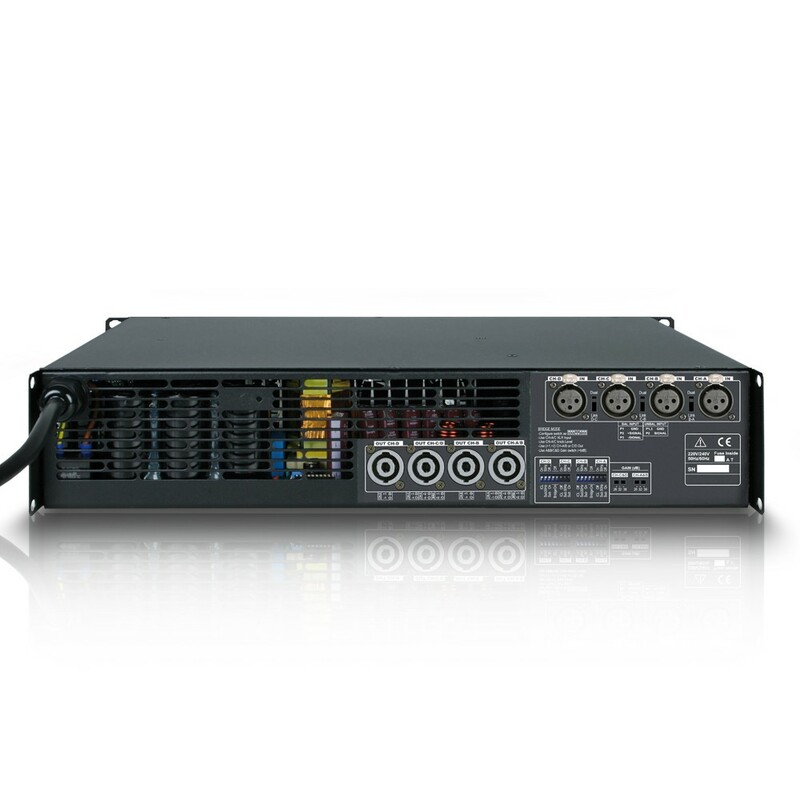 With a massive output of 4x 1.440W into 2Ohms and 2x 2.880 in 4Ohms stereo bridge mode it is an extremely efficient solution for touring and installation sound reinforcement weighing in at a mere 8.6kg. Consistent operation is ensured by the heavy duty construction with high quality components and comprehensive protection circuitry including soft start with turn-on muting, PMS™ power management, SSP™ (Safe operation Sentry Protection) and ICL™ Intelligent Clip Limiting to maintain signal integrity. Protection circuits against DC, thermal and power supply overload are implemented. A switchable subsonic filter and a 3-position gain switch offer variable amplifier adjustment. 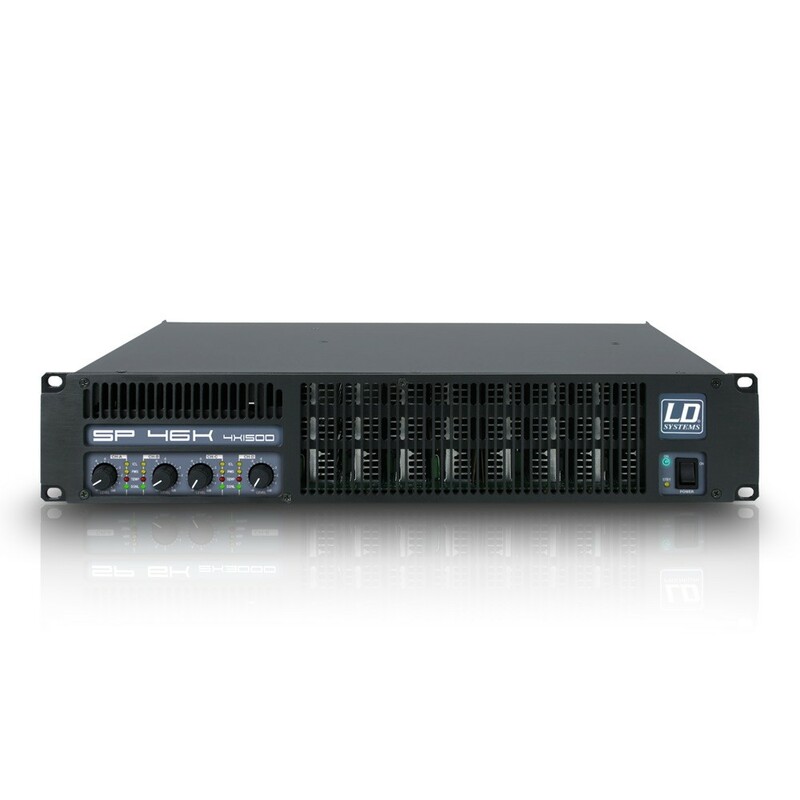 The LDSP46K features a full 20Hz - 20kHz bandwidth with low THD and crosstalk, a damping factor higher than 500, excellent S/N ratio and 3 selectable gain/sensitivity levels.